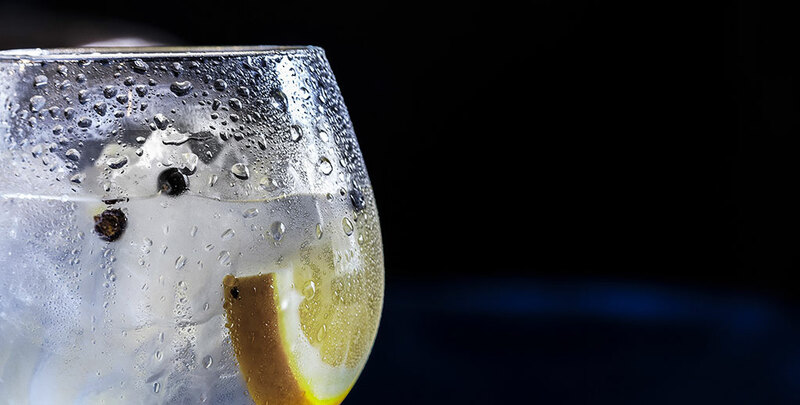 Did you know that sales of gin have hit the £1 billion mark in the UK? This staggering figure is largely due to a rise, year on year, in the production of Scottish gin. Exciting new Scottish gins are emerging each year and the Scottish Borders is no exception. The Kelso Gin Company is the first distillery in the Borders for 180 years, and the first gin distillery ever in the area, starting production in September last year, offering 3 distinctive gins including their lead product – Crow Man’s Gin. Following closely on their heels is Lilliard Gin, small batch gin producers, based at the home of Borders Brewery near Ancrum. Their first gin currently at the bottlers as we go to press. As you know Burts and The Townhouse already have a variety of Borders Brewery beers on tap, including the famous Foxy Blond and Game Bird, so we’re looking forward to adding some local gins to our bars too. As if that isn’t exciting enough, there are another two new distilleries due to open in the near future, one in Hawick and the other in Jedburgh, both hoping to produce gin and Scottish Borders Whisky. We feel plans should be hatched for a Borders Whisky and Gin Trail to celebrate. Of course, G&T has always been a firm favourite at Burts and The Townhouse, although the way we serve it has changed over the years. Lime has taken over from lemon, and cucumber is also very popular now in all Gins. Tonic is no longer just plain tonic, there are a myriad of different flavours to suit different gins. Both hotels stock a range of Fevertree and Fentimans tonics and our bar staff are very knowledgeable about which tonic will complement your choice of gin best. Both hotels serve a wide range of Scottish gins, our most popular are NB Gin, Edinburgh Gin, The Botanist and Hendricks. We thought you might find it interesting to know the story behind these gins, all of which showcase the best of Scottish gins. NB Gin, from North Berwick, is run by Steve and Viv Muir who are passionate about gin and set out to create the perfect London Gin. Within two years of production in 2015, they were voted the Best London Dry Gin in the world – no wonder it’s so popular with our customers. Edinburgh Gin took inspiration from the majesty, marvel and mischief of our capital city to create a gin that is a taste of Edinburgh. The gin is distilled with fresh juniper, coriander, citrus peel and orris root, then heather and milk thistle are mixed in to create a magical gin. Edinburgh Gin also boasts some unusual gin liqueurs including – rhubarb & ginger and raspberry. These are great served with Prosecco, a modern twist on a Kir Royale. The Botanist was one of the first gins to be produced on the Scottish Islands and hails from the whisky island of Islay, undeniably world experts in the distillation process. This classic gin uses nine aromatics augmented with 22 local botanicals handpicked by their expert foraging team from the hills, peat bogs and Atlantic shores of the Hebridean Island. Finally, Hendricks Gin, owned by William S Grant and Sons, was the gin that sparked the Scottish craft gin revolution when it was produced in 1998. Hendricks Gin is infused with rose and cucumber and is one that is definitely best served with a slice of cucumber over ice. ‘Gin and Tonic’ has always been a popular tipple in our hotels and it’s fantastic to see so many of our visitors enjoying the exciting range of Scottish Gins that we have on offer. We look forward to serving you your favourite G&T the next time you visit and of course you must try one of the new Border gins too. Let’s all raise a glass to the rise of the Scottish gin.